United States Trade Representative Michael Froman today said biologics remain one of the biggest unresolved issues in getting the Trans-Pacific Partnership passed in the US Congress. He called biologics an intellectual property rights issue and said the administration is working with Congress and industry to resolve concerns without reopening the trade deal completed last autumn. 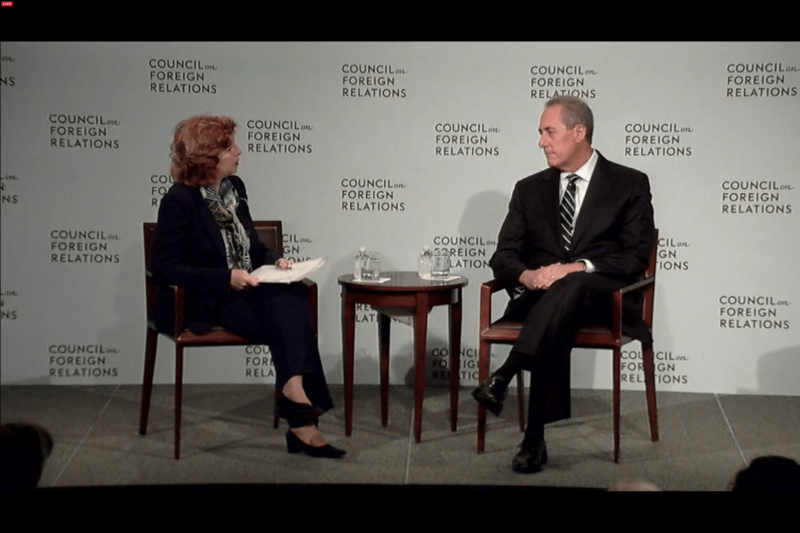 Froman spoke at an event at the Council on Foreign Relations in New York, webcast here. The main focus of the discussion was the TPP, but other issues were addressed such as the Transatlantic Trade and Investment Partnership (TTIP) being negotiated with Europe. Also discussed were China, and a suggestion that the TPP and TTIP are ways to ultimately improve the multilateral trade system. On TPP, he said the agreement is now being targeted to be brought to a vote in Congress, at least on the Senate side, during the narrow window after the early November presidential election and before the next president takes office in January, the so-called lame duck period. There is a sense of urgency for supporters as both presidential candidates have criticised the TPP and may not show the same support for trade deals as the Obama administration has done. But between now and then much work is being done to meet with members of Congress to explain to them the benefits of the TPP to their constituencies, as well as the impact of failing to approve the deal. Froman listed numerous industries that have shown support for TPP, including tech industry, specifically mentioning app developers and naming Google. The TPP includes a large carveout for internet service providers and companies like Google from liability for IP-infringing material carried by them. But he said the “more outstanding issue is biologics, which is an an IPR issue.” He said the administration is working with Congress and industry to resolve the issues they are concerned about “without reopening the agreement,” which he said later he feels would “open up a Pandora’s Box” because of the interconnectedness of agreed provisions. On biologics, the agreement appears to give either 5 or 8 years of market exclusivity, but the biotech industry had sought longer. Froman declined to discuss the policies of presidential candidates Hillary Clinton and Donald Trump (the latter’s name never came up in the discussion), but he did respond to a question about known areas that Clinton has said she would try to renegotiate the TPP. This includes a concern of Clinton’s that the Obama administration “gave too much” to the pharmaceutical industry. China came up repeatedly in the discussion. Froman said the US has been “very open” with the Chinese about the agreement, and that TPP is “not an effort to contain” China, nor is it against the country. Rather, “this is about raising standards,” and “there is going to be a competitive race to the top,” he said, echoing past criticism that trade agreements are a race to the bottom with lowest common standards. He noted that China might be interested in joining the agreement, and that a number of other countries have shown interest. The TPP raises standards in countries around China, including on intellectual property rights, which could draw investment in those countries instead of China, eventually leading to China coming up to the standard. He also answered a question about the “science-based” approach to issues like genetically modified organisms (GMOs), arguing that nothing in the TPP or TTIP would undermine GMO labelling or other efforts related to genetics, but it bases decisions on science. “We’re not trying to force anyone to eat anything, but we do think it should be science-based,” he said. "USTR Froman: IP-Related Biologics Still Key Sticking Point For TPP Passage In US" by Intellectual Property Watch is licensed under a Creative Commons Attribution-NonCommercial-ShareAlike 4.0 International License.